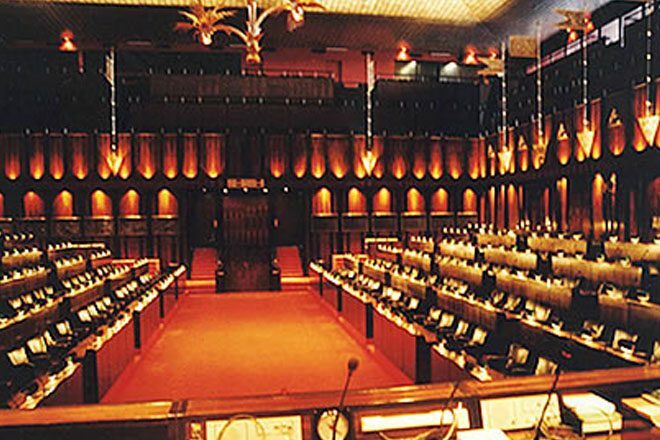 Sep 22, 2015 (LBO) – Sri Lanka’s Parliament has completed the appointment of three civil representatives to the Constitutional Council on Tuesday. Dr. Ahangamage Tudor Ariyaratne, Shibly Aziz and Dr. Radhika Coomaraswamy were the three non-Parliament members of the council nominated by both the Prime Minister and the Opposition Leader. Earlier in the month, President and the Prime Minister appointed their representatives to the constitutional council. Champika Ranawaka was appointed as the representative of the President while Wijeyadasa Rajapaksa was appointed as the representative of the Prime Minister. Speaker, Prime Minister and Opposition Leader also represents the council. Meanwhile three new parliamentarians took oath before Speaker today. Lakshman Seneviratne, Palitha Thewarapperuma and Bimal Rathnayake were sworn in as members of Parliament.